Upcoming District 3 Community Meetings! 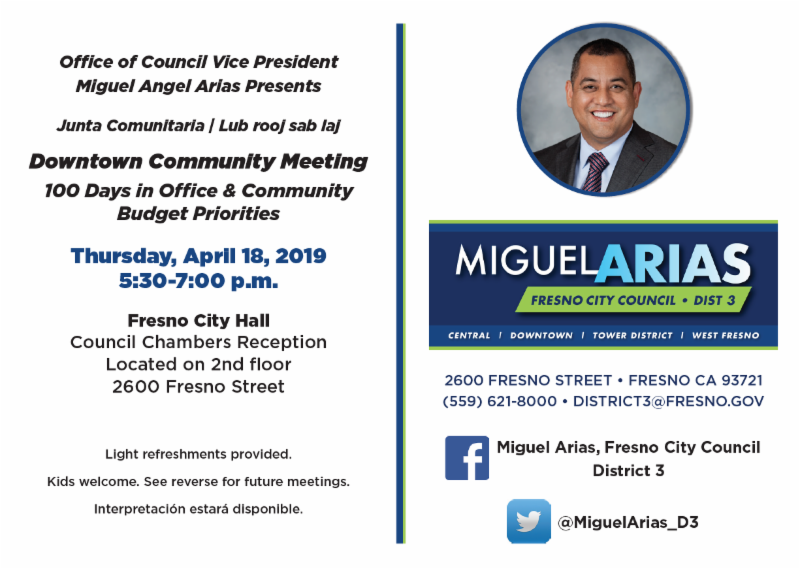 Upcoming Town Hall with Councilman Miguel Arias! 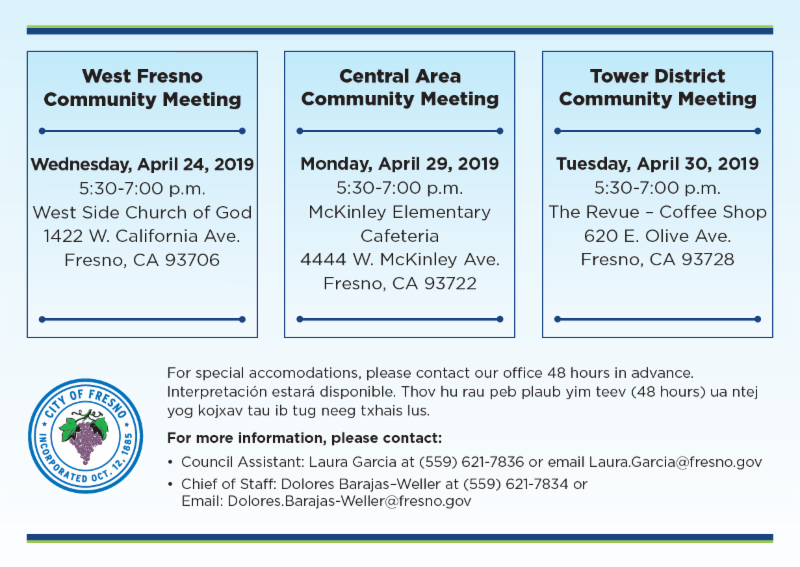 Join us as we begin a series of community meetings to be held in Downtown, West Fresno, the Central Area, and Tower District! We want your participation!